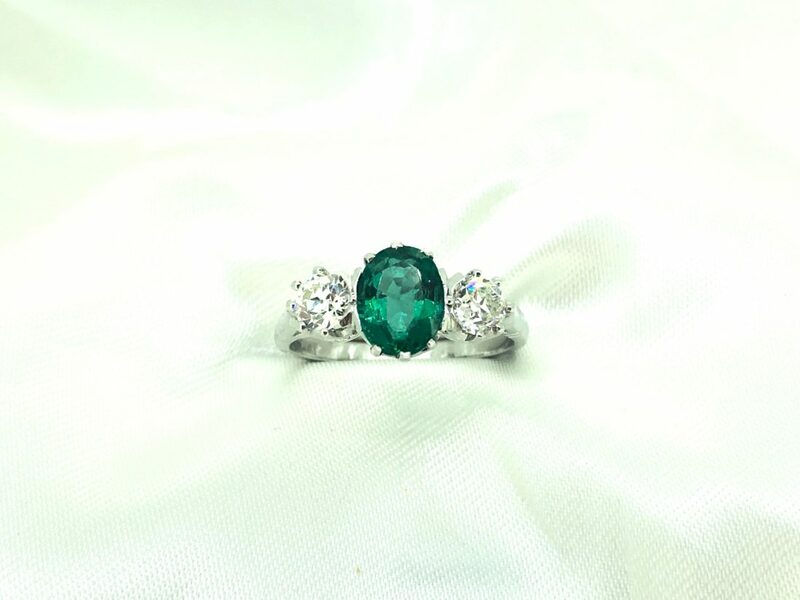 A beautiful emerald & diamond three stone ring with a gorgeous colour 1.50ct oval emerald, set with six claws in the centre of two old cut diamonds totalling 0.75ct. Set in platinum. Diamonds, VS2-SI1 clarity, I-J colour. Setting dimensions approx. 8.5mm x 16.7mm. Pre-owned.